Is this the anti smartwatch? Haptics are happening. For ages we've been looking forward to wearable tech that can nudge and guide and remind us, without making us look down at yet another screen every ten seconds. That's what Moment, a $129 haptic tech focused wearable, by Somatic Labs has going for it. 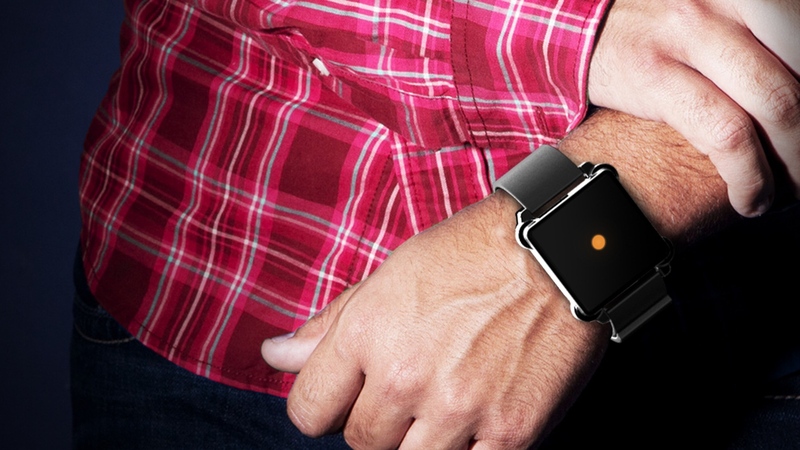 At first glance, it looks like a smartwatch but in a way, it's an anti-smartwatch. The big sell here is tactile navigation. Tactile shapes are 'drawn' on your wrist by "silent" haptic actuators to direct you to your destination when cycling, for instance, or walking. So one of the corners of the device could vibrate for you to turn left, right or change direction. Somatic Labs refers to these as "vibrotactile shapes" (circles, lines, L shapes) when compared to the noisier, more distracting vibrations you might get on Android Wear watches. It's not the first time we've heard of haptics being used for navigation - Wearable Experiments is developing a smart Navigation jacket that uses motors in the shoulders to guide the wearer around a city. As with smartwatches, Moment does allow you to set up (limited) alerts from your Android phone or iPhone but again, you can preset a unique "tactile rhythm" for each of your VIP contacts so, over time, you'll learn who is calling without looking down. There's also a silent alarm and custom timers. Such timers could be used as a metronome for musicians, a similar idea to the more niche Soundbrenner Pulse, or in work scenarios such as delivering alerts to people operating heavy machinery. The wearable has a decent seven day battery life, it charges via microUSB and the scratch-resistant module can be paired with any 22mm watch strap. It's the work of Arizona State University graduate Shantanu Bala, who has assembled a team including current ASU students. "As we grow, Somatic Labs can make more wearable electronic devices that interact with our sense of touch," said Bala. "We're envisioning a series of devices that become further integrated into the things we wear on a regular basis. We're starting with a wristband, but we eventually want to make assistive and rehabilitative technologies embedded in clothing and shoes." Right now, the pre-order page on Somatic Labs' website is only collecting emails of interested parties. We'll update this story when the startup releasing its estimated shipping date and starts taking orders.